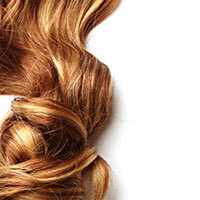 » News and Advice » Hints and Tips » The Hair Cycle…..
Each hair is attached to the scalp via a follicle. There are between 100,000 and 350,000 hair follicles on the human scalp. Each follicle grows its hair for an average of 1000 days (three years) and then rests for a period of around 100 days (three months) before being shed and a new hair begins to grow. This pattern of active growth followed by the resting period varies significantly from person to person and is influenced by age, diet and our state of health.